OK, this is threatening to get out of hand. 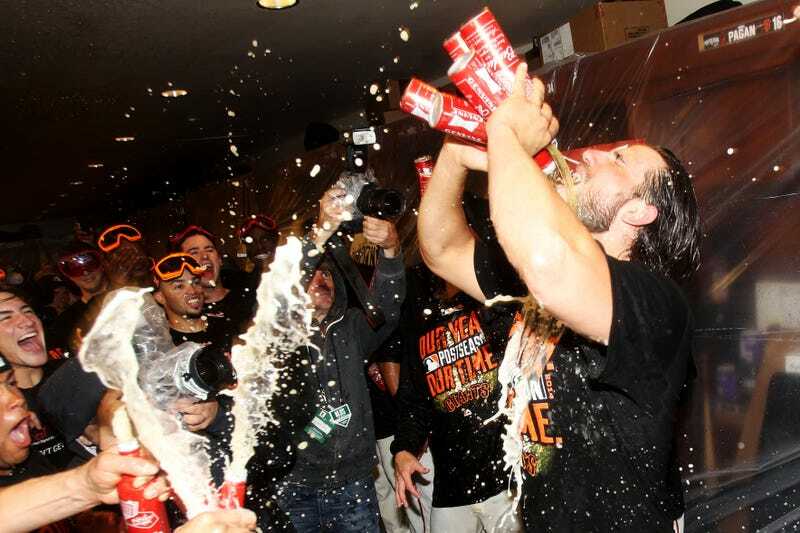 After winning the play-in game last week, Giants pitcher Madison Bumgarner "drank" four beers at once. (More realistically, he poured four beers onto his face.) After the Giants won their division series last night, Bumgarner has graduated to five.